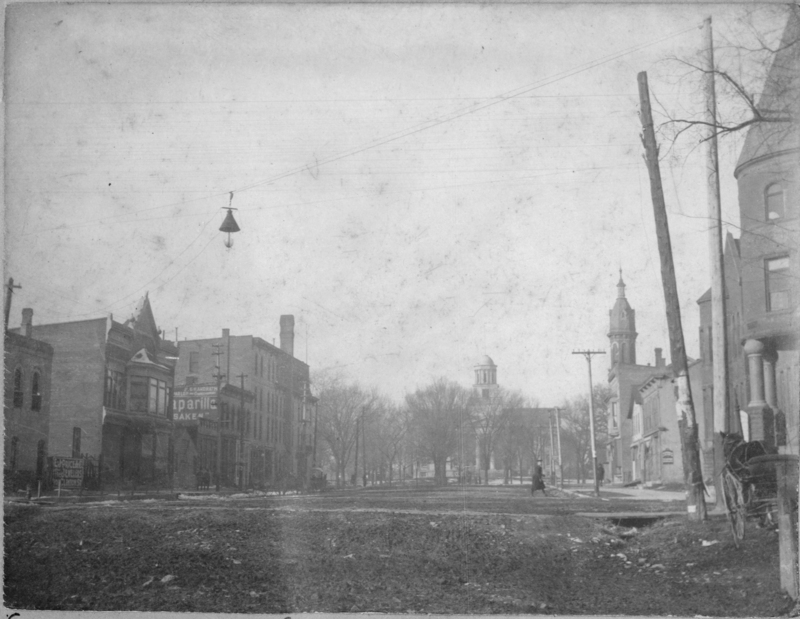 The tall building on the right, facing Clinton street is the old Universalist church. It was dedicated on January 12, 1873. It was sold to the Iowa Unitarian Association in 1899. It was sold to the University of Iowa between 1900 and 1906 and was used for a number of purposes, including being the student union, the school of music, and a student dining hall. It was razed in 1927. 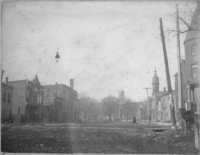 “Looking West on Iowa Avenue, date unknown,” Iowa City Public Library, accessed April 19, 2019, http://history.icpl.org/items/show/129.